Bibelotslondon Ltd is a UK registered company based in London Bridge dealing in ephemera and curiosities from Britain and around the world. Our diverse inventory is carefully chosen and constantly evolving. We work very hard to offer the highest quality works at competitive prices. Our inventory is listed online, and we strive to keep our website completely up to date, so our customers can easily check availability. We believe in offering clients items that are unique and rare for aficionados of the antique and collector's world. Bibelot is a late nineteenth century word derived from the French word bel beautiful, meaning a small item of beauty, curiosity or interest. The word ephemera is derived from the sixteenth century Greek word ephmera meaning a printed or hand written paper not meant to be retained for a long period of time. Howe of London and is in its original royal gilt presentation frame surmounted by a crown, with easel back. 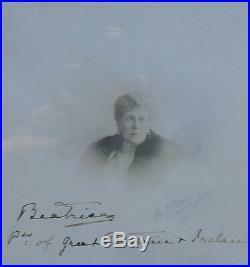 "Beatrice Pss of Great Britain & Ireland". Beatrice was the last of Queen Victoria's children to die, 66 years after the first, her sister Alice. Beatrice's childhood coincided with Queen Victoria's grief following the death of her husband Albert, Prince Consort on 14 December 1861. As her elder sisters married and left their mother, Queen Victoria came to rely on the company of her youngest daughter, whom she called "Baby" for most of her childhood. Beatrice was brought up to stay with her mother always and she soon resigned herself to her fate. Queen Victoria was so set against her youngest daughter marrying that she refused to discuss the possibility. Nevertheless, many suitors were put forward, including Louis Napoléon, Prince Imperial, the son of the exiled Emperor Napoleon III of France, and Louis IV, Grand Duke of Hesse, the widower of Beatrice's older sister Alice. She was attracted to the Prince Imperial and there was talk of a possible marriage, but he was killed in the Anglo-Zulu War in 1879. Beatrice fell in love with Prince Henry of Battenberg, the son of Prince Alexander of Hesse and by Rhine and Julia von Hauke. After a year of persuasion, Queen Victoria agreed to the marriage, which took place at Whippingham on the Isle of Wight on 23 July 1885. The Prince and Princess had four children, but 10 years into their marriage, on 20 January 1896, Prince Henry died of malaria while fighting in the Anglo-Asante War. Beatrice remained at her mother's side until Queen Victoria died on 22 January 1901. Beatrice devoted the next 30 years to editing Queen Victoria's journals as her designated literary executor and continued to make public appearances. She died at 87, outliving all her siblings, two of her children, and several nieces and nephews including George V and Wilhelm II. 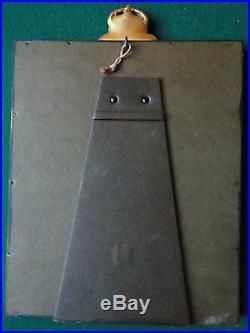 Size: 28 x 20.5 cm approx. Photos form part of the description. 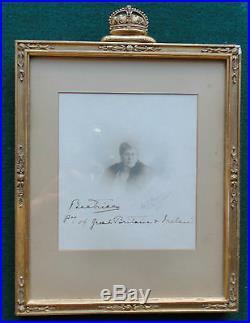 The item "Princess Beatrice Signed Royal Presentation Photo Frame Daughter Queen Victoria" is in sale since Monday, March 12, 2018. 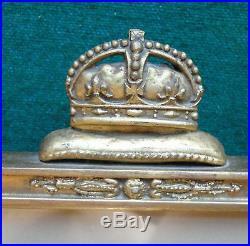 This item is in the category "Collectables\Royalty Collectables\Victoria (1837-1901)". The seller is "bibelotslondon" and is located in london.